As days go, yesterday was another special one to be a Burnley fan as we secured a fifth win on the bounce in the Premier League, this time beating Leicester City who are one place below us, and in doing so we’ve now created a gap of nine points between us with both of us having five games to play. Given it was the last youth team game of the season, my day started with a trip down to Gawthorpe and I’m really pleased I was able to make it with the team beating Bristol City 6-0, our biggest win of the season. Then it was off to Turf Moor for the visit of Leicester. Seven days earlier, we sat three points above them ahead of our game at Watford with them facing a home game against Newcastle. We won and they lost; the lead over them increased to six points and suddenly everyone was considering yesterday’s game to be the most important of the season where even a draw would ensure they got no closer to us. There’s a real buzz about the place these days. Harry Potts Way was busy by the time I strolled down at around 1:30 p.m. and new season ticket holder Gareth Southgate was spotted making his way in again. When did an England manager last see us play so many times in a season? Other than Sven, for a friendly against Chelsea, when did an England manager last visit the Turf? The one player I really think he’s missing out on is Ben Mee, and Southgate missed seeing him again with our acting captain currently out injured and possibly having played his last game this season. Kevin Long kept his place as Mee’s deputy with Jack Cork once again standing in as captain. The only change to the team that had won at Watford was the welcome return of Jόhann Berg Guðmundsson. He’d missed the last two games with Georges-Kévin NKoudou deputising, but French under-21 international NKoudou was now himself on the sidelines with a hamstring injury. Leicester had their usual array of talent on view. Riyad Mahrez, he’s the one currently between transfer requests, was in the team alongside Jamie Vardy, and I’m not going to do the Steptoe joke again. No matter what we think of Vardy, he does score goals aplenty and in fairness, unlike others, he tends to only claim those he’s actually scored himself. This is the team who won the title two seasons ago and although that’s unlikely to happen again, they’ve progressed reasonably well since although they do seem to have a downturn in form when they are looking for a change of manager. That means a game against Leicester is always going to be a tough affair. Sometimes I report that we’ve made a good, positive start to games; on other occasions I have to confirm that we’ve had a quiet start and that really means the opposition have looked the better start. This time the start was like a whirlwind and with less than nine minutes gone we had got ourselves into a two goal lead. We’d already given Leicester one scare when, in only the sixth minute, we took the lead. It might well have been a mistake from Wes Morgan that saw Jack Cork’s forward ball played into the path of Ashley Barnes, but our Austrian international elect’s reverse pass through to Chris Wood was top drawer. Wood was quickly onto it. His right foot shot was too close to Kasper Schmeichel who blocked it well but he was only successful in returning the ball to Wood who this time made no mistake with his left foot from a tight angle. Two weeks ago he scored against former club West Brom and the celebration was very respectful; it didn’t appear quite so yesterday although he did run to the Bob Lord away from the visiting fans. That, surely, was just the start we wanted but it soon got better. Matt Lowton it was again with a superb pass down the right for Wood who won us a corner. Guðmundsson took it and leaping high above the crowd in the centre was Long who headed home to double the advantage. Southgate might show an interest but Long is Irish and he needn’t have worried because fellow Cork man Roy Keane was also in the stand. There is absolutely no doubt that Long has deputised well this season for both Mee and James Tarkowski, and he had another good game although I’m sure he’ll remember it for his first ever Premier League goal; his only other Burnley goal came in the FA Cup against Southampton over four years ago. When you score two goals so early in a game you tend to get too excited in the stands. You start to think how many goals you might score and in your head you’ve already decided the points are won. It’s never quite like that, of course, but for a period after that start we did look more than likely to add to it and I think the game would have been well and truly over had we got a third, and we did come close a couple of times. Leicester, finally, started to get back into things and they too might have had a goal. Vardy headed hopelessly wide with one effort, another header went straight into the hands of Pope who then did really well to deny Shinji Okazaki with a save down by his post. Right on half time, Mahrez clipped the outside of the post with a free kick but, overall, there was no denying that we deserved our lead even if Leicester had come back into things in the latter stages of the half. All looked well early in the second half as we got control of things again. Guðmundsson hit one dangerous cross across the box and then hit a screamer just over the bar. At that point of the game I had no concerns but we then had to deal with a spell of pressure from Leicester which eventually did lead to them pulling a goal back. They missed a couple of chances and Pope made another good save, but there was little he could do when Vardy hammered one home after they’d caught us on the counter. I looked at the clock and there were still 18 minutes to go and I have to admit I had some concerns with Leicester now very much in the ascendancy. Sean Dyche made a quick change. Off came Wood and on came Jeff Hendrick. We’ve turned games round with that sort of substitution in reverse this season, none more so than in the recent wins against Everton and West Ham. It worked again here. Leicester had been throwing the kitchen sink in to try and get back into the game. I think the bath followed now with Harry Maguire almost playing as an extra striker, but our most difficult moments had passed and, generally, we saw the game out. One hell of a roar went up when Martin Atkinson, who had shown us just why he’s such a highly rated referee, blew that final whistle. “We’re all going on a European tour,” sang the cricket field end and who can argue with that thought right now? Embed from Getty ImagesUsually, given the last four in the FA Cup, I’d be wanting the underdogs to win it. This time, the sooner Southampton are knocked out, the better it will be. Five successive Premier League wins. This is dreamland and, at times, it’s almost hard to believe it is all actually happening. I keep looking at the league table just to check, but it’s right, we’re seventh and with Arsenal losing this afternoon at Newcastle we remain just two points behind. If only they hadn’t got that stoppage time penalty on the Turf. We’ve still got some tough games to come but it will take something massive now to prevent us from finishing seventh. That’s incredible; I don’t think any of us would have thought this could happen when we travelled down to Chelsea on opening day. It had been another really good day. Could it get any better? Well, yes, it could. My mum passed away almost 14 years ago but I still put her lottery numbers on every week and they won me £115 last night. She always encouraged me to go to football, probably to get me out of the house as much as anything else. Thanks mum, if it’s OK with you I’ll put it towards my flight when Burnley get into Europe. What an incredible time it is to be a Claret. 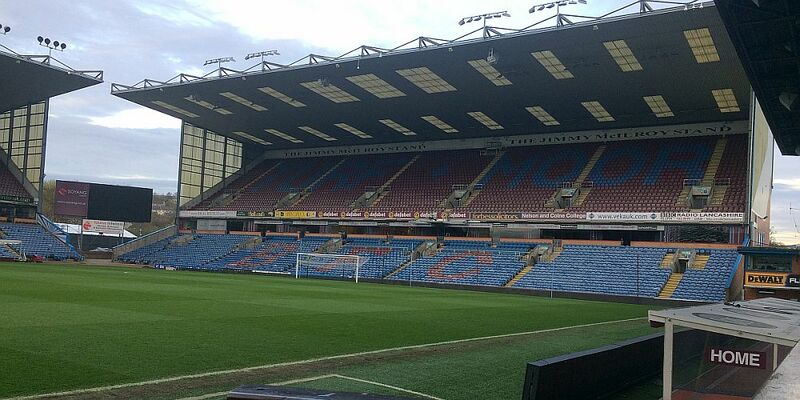 Burnley: Nick Pope, Matt Lowton, Kevin Long, James Tarkowski, Stephen Ward, Aaron Lennon, Ashley Westwood, Jack Cork, Jόhann Berg Guðmundsson, Chris Wood (Jeff Hendrick 75), Ashley Barnes (Sam Vokes 85). Subs not used: Tom Heaton, Phil Bardsley, Charlie Taylor, Dean Marney, Nahki Wells. Yellow Cards: Aaron Lennon, Ashley Barnes. Leicester: Kasper Schmeichel (Ben Hamer 86), Danny Simpson, Wes Morgan, Harry Maguire, Ben Chilwell, Riyad Mahrez, Hamza Choudhury, Adrien Silva, Demarai Gray (Fousseni Diabaté 64), Shinji Okazaki (Kelechi Iheanacho ht), Jamie Vardy. Subs not used: Christian Fuchs, Aleksandar Dragovic, Marc Albrighton, Harvey Barnes.